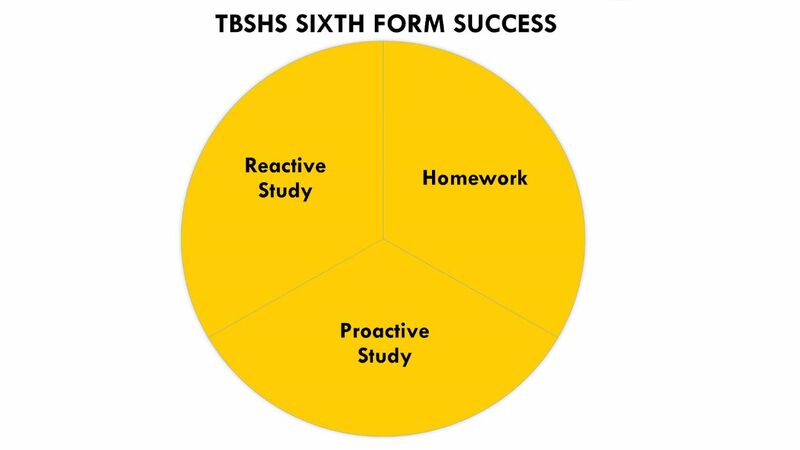 At TBSHS, we believe that there are three key parts to Sixth Form success - reactive study (work set in class), homework (work set by your teachers) and proactive study (work you set yourself). Recent national educational research has demonstrated that the very top achieving Sixth Form students are completing, on average, around 15 hours of work outside of lessons every single week by the time they are in Year 13. 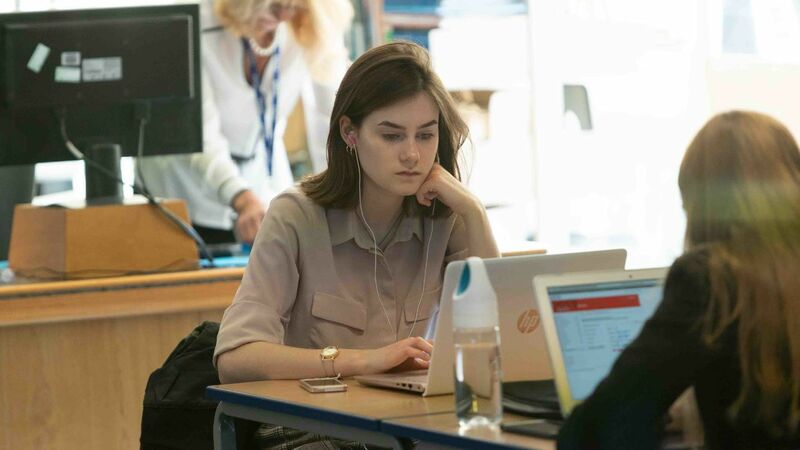 Such high levels of intrinsic motivation and self-discipline as this are not only crucial to achieve top grades, but also in the future to excel at undergraduate study and in the workplace. 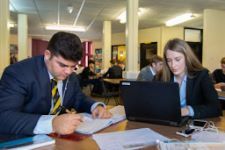 As an Ofsted-'Outstanding' Sixth Form, we aim to support our students in developing these proactive, independent study habits by giving them the tools they will need to get there. 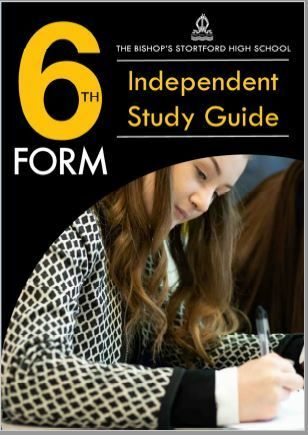 Working together with Subject Leaders across the school, we have produced a comprehensive 'Independent Study Guide' to help you grow into a responsible, successful Sixth Form student. Full of subject-specific guidance for the kinds of work you should be completing, the idea is to model what is expected and give you a 'bank' of adaptable, generalised tasks to draw from. 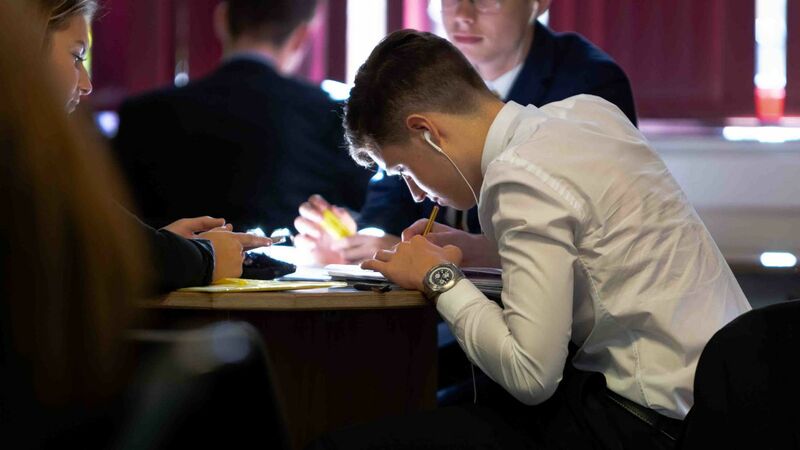 Think in terms of 5 hours a week per subject you study - when you have finished your homework, move on to some of these ideas to make up the rest of that time! 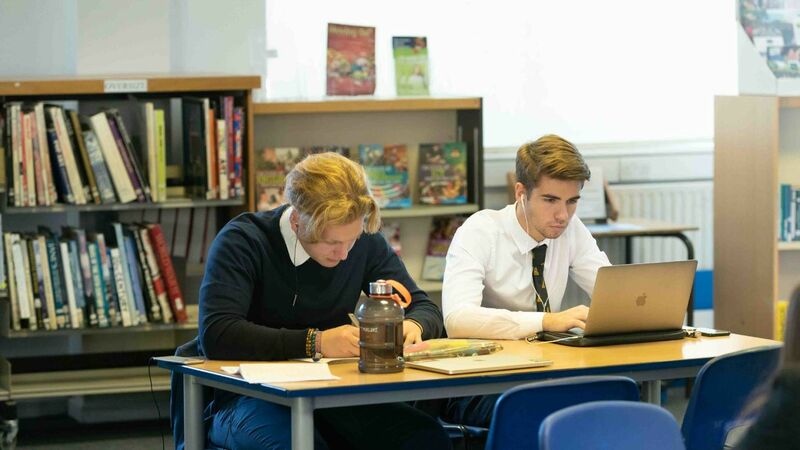 Every study period should be a productive one. We suggest you print off the relevant pages of the Guide for your subjects and place them in your folders for constant easy access.